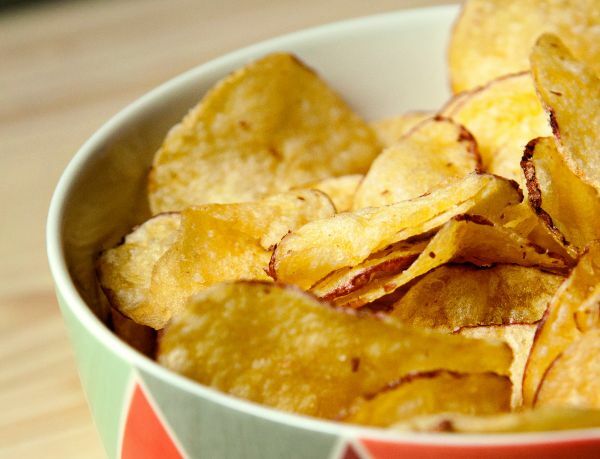 Science says: This number of chips are ‘healthy’ & it’s pathetic | SHEmazing! We LOVE chips – gimme them with ketchup, mayo or salt and vinegar. And for all the vegans out there, you know how chips are your trusty back-up when restaurants do not cater for us. Have them skinny or chunky – dip, drench or dunk them, they're just potato perfection. That's why we are having none of this new Harvard study. 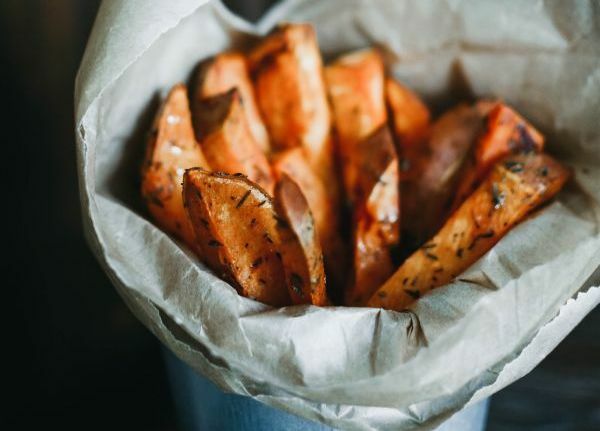 Supposedly no more than SIX, yes six measly chips, should be eaten at one time, to avoid the negative health consequences associated with over-consumption. The guideline comes from nutrition scientist, Professor Eric Rimm, and the news just goes from bad to worse. 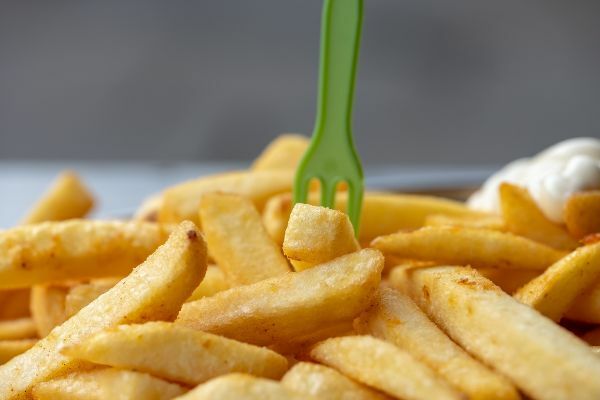 A study published in the American Journal of Clinical Nutrition last year, found that those who consumed fried potato such as chips, crisps or the divine hash brown more than two or three times each week were cutting their life short. In fact, they doubled their chances of an early death in an eight-year period. However, we must point out before you ditch potatoes entirely, that the study DIDN'T include whole, mashed or boiled potato – only deep fried. These unhealthy fats have been linked to heart disease risk factors and pro-inflammatory processes in your bod – so basically, you need to avoid them. But the Professor didn't stop there – he introduced the phrase "starch bombs" – which honestly sounds delicious. 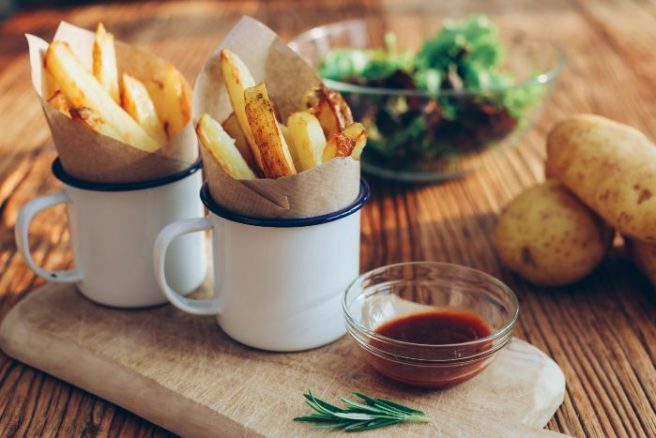 Nevertheless, he explained that fried potatoes are made up of processed potato that impacts the blood glucose levels and are combined with artery-damaging processed fats that are heated to extremely high-temperatures many times over – and voila, this is a starch bomb. 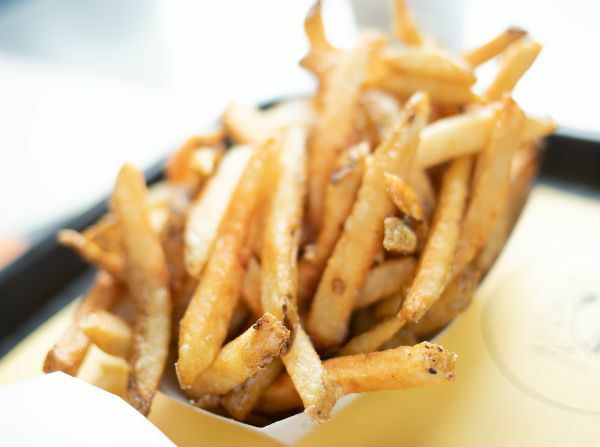 The recommended serving of fries is just 15 individual chips – 15?! If the local chippy gave me that I'd hand it back – and don't get me started if someone dared to serve me 15 chips after a night out. But the research means we probably have to re-evaluate our addiction to fried potato foods.